Enerpac have introduced some of the world’s advanced precision stressing technology for construction, resources and infrastructure projects in Australia and New Zealand. The technology includes prestressing and constant tensioning technology as well as heavy lifting expertise that were used in the lifting of the Russian submarine Kursk. The technology has been employed on projects such as: stay cable prestressing for windmills in Europe and Asia; prestressing on the Palm Island project in Dubai and on the Dubai Highway in the United Emirates; prestressing on the Roertunnel and at Schipol Airport in the Netherlands; bridge launching in Malaga, Spain and prestressing on a major Rhine bridge, Germany; and heavy lifting on the London Eye and of the Kursk. Enerpac distributor Jonel Hydraulics recently introduced the first specialist 900-tonne hydraulic stressing cylinders, which includes cylinders in capacities from 110 to more than 1000 tonnes with stroke lengths typically from 150 to300mm. The extreme force hydraulic cylinders introduced by Jonels are manufactured at a specialist plant in Europe that has built a worldwide reputation for manufacturing stressing cylinders and heavy lifting technology. The range of stressing cylinders is used in prestressing operations for the stressing of single and multi-strand systems. Many, including the 900 tonne jack, are equipped with hydraulic nose cones. After the cylinder’s initial extension, the hydraulic nose cones push the locking wedges in place mechanically, while the cylinder retracts then extends again to repeat the operation as many times as necessary. Depending on the client requirements, multi-strand stressing heads of any configuration can be supplied. Stressing cylinders are tested for both safety and function and can be calibrated for the stressing load required. Enerpac stressing cylinders are typically customized to individual requirements, with adaptations in this case being undertaken in New Zealand by Jonel Hydraulics to save time and simplify setup. Jonel Hydraulics is a major Australasian distributor of Enerpac products and the only authorised Enerpac service agent in the North Island of New Zealand. Enerpac have been established in Australia and New Zealand as a major supplier of high-pressure (700 bar) hydraulic equipment. 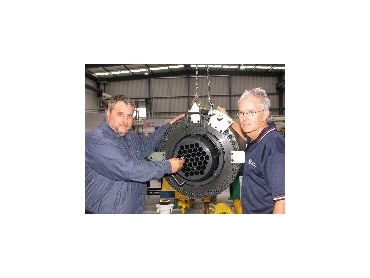 Their ranges of 700 Bar (10,000 psi) precision hydraulic cylinders, tools and safety equipment (contained in their E325A catalogue) is complemented by professional bolting technology to address the needs of major areas of industry, including mining and energy, infrastructure construction, manufacturing, pipelines, mobile machinery, tracked and heavy vehicles, cranage and fixed plant.